This policy brief looks at the consequences of detention on young people, their families, and communities. This policy brief shows that, given the new findings that detaining youth may not make communities safer, the costs of needlessly detaining young people who do not need to be there are simply too high. 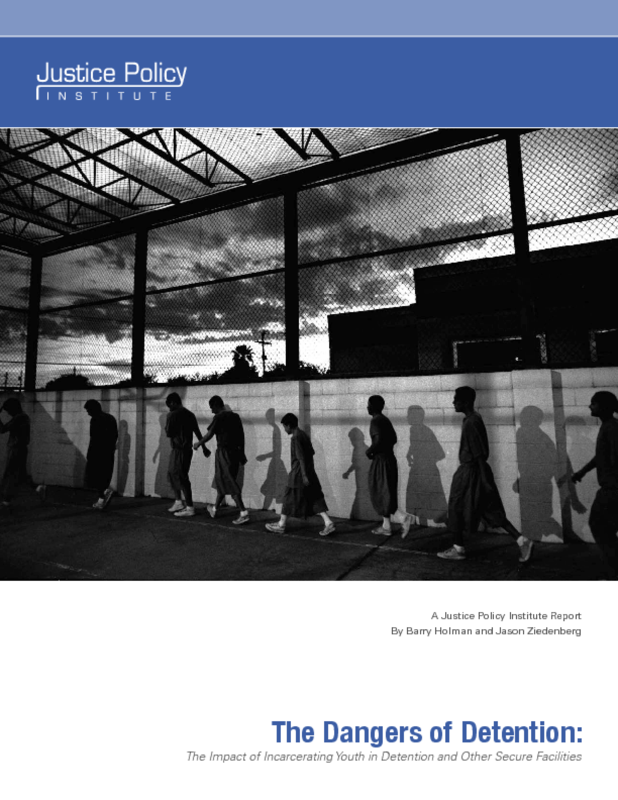 Policymakers, instead, should look to detention reform as a means to reduce the number of young people needlessly detained, and reinvest the savings in juvenile interventions proven to reduce recidivism and crime, and that can help build healthy and safe communities.